Join our fishing guides for ice fishing! Our knowledgeable fishing guides are here to give you a great introduction to Ice Fishing. 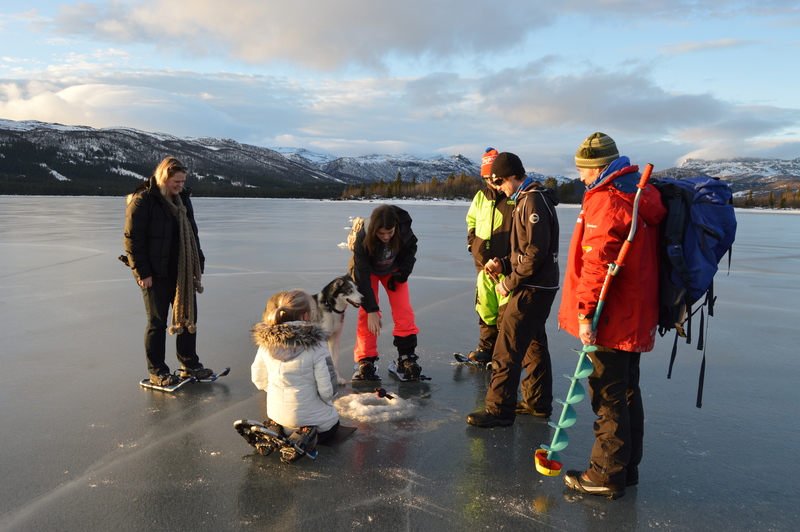 They will teach you the skills you need to catch a fish in one of Beitostølen's frozen lakes. If you are lucky you will catch your own trout and be able to take it home to make a yummy dinner! Ice fishing takes place at the Beitostølen camp on the frozen water at Øyangen, and other forzen lakes near Beitostølen. 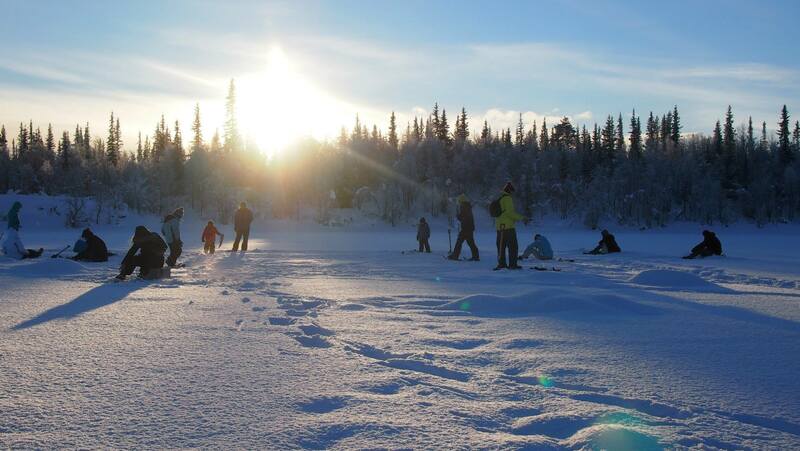 Depending on conditions, if there is a lot of snow, we use snowshoes out on the ice, which will be provided to guests. Beitostølen Aktiv & Ski School will supply you with all of the necessary equipment, but remember to bring good shoes and warm clothes.